Its appreciation - up from just $2 in November 2011 - has been attributed to increased trust in security efforts. The surge coincided with Japan-based MT Gox, Bitcoin's biggest exchange, announcing a tie-up with US firm CoinLab to bring its operations to the States. However, recent high-profile thefts continue to worry some investors. In September last year, 24,000 Bitcoins - which at the time were worth £157,800 - were stolen from another large exchange, Bitfloor. In June 2011, a huge instance of fraud led to a market crash, with the value of Bitcoins at one point plummeting to almost zero. But since then the currency has steadied somewhat, thanks in part to adoption by key websites such as Reddit and Kim Dotcom's file storage site Mega. Other reasons given for the rise in value include the popularity of gambling websites accepting the currency. Bitcoin casinos have been reported to be bringing in about $500,000 (£330,000) profit every six months - with more growth expected. Unlike other currencies, Bitcoins are not issued by a central bank or other centralised authority. Instead they are created in a process called "mining", in which coins are issued to a user when they solve a complicated mathematical problem using their computer. Part of the attraction is they can be used to make transactions that are difficult to trace, offering privacy to their users, and the currency has been adopted by Wikileaks and other sites to receive donations. 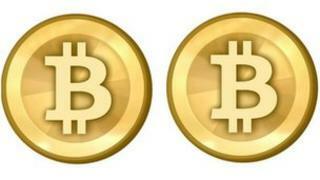 Bitcoins can also be exchanged for "real" money - the value of which is tracked by services like Mt Gox. Mt Gox's move to the States was announced in a statement from Peter Vessenes, chief executive of CoinLab, the firm that will administer the exchange in the US, in partnership with Silicon Valley Bank. "There are two major difficulties Bitcoin exchange customers have traditionally faced: banking troubles for the underlying exchange, and security of their coins," he said. "When our team discussed how to tackle these issues in the US, it seemed clear that Mt Gox had by far the best security record in the Bitcoin exchange landscape. "After I personally came to Japan and audited their fraud and security procedures, I understood why - they are light years ahead of other exchanges at this stuff - the fraud and security experience (some of it hard-won) they bring to the table is incredibly impressive." Killing off cash: Could new tech mean the end of money?